Energy medicine considers energy as a vital, living, moving force that is at the foundation of our wellbeing. 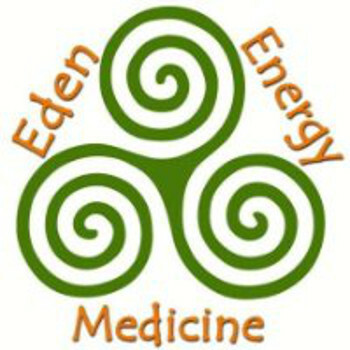 Eden Energy Medicine (EEM), pioneered and taught by Donna Eden, has bridged the gap (for me) between what is currently provided by the NHS and alternative health care regarding our need for self care as it empowers us to regain a sense of health and wellness and balance. EEM works with nine energy systems, and includes some practices which may be familiar to you, such as tai chi, qi gong and yoga, and combines them with contemporary scientific understanding. In a session, I will listen to and track your body’s energy by taking your herstory followed by energy testing to check your strengths and challenges and tailor a nurturing hands-on session. Treatments are specific to your body’s needs – I’ll guide you to a daily exercise routine and advise you on self care techniques specific to the issue you wish to address. You will nurture your energy best when you follow the session up with regular self care which I will advise you about. Your body can then activate its natural healing energies and restore energies that have become weak, disturbed or out of balance. Eden Energy Medicine does not diagnose or treat symptoms but rather tracks and balance the underlying energies. It is both a complete system of healing and self care, and an excellent complement to conventional medical treatments. EEM extends far beyond the health care setting and can be applied wherever you wish to be more effective, vital, and creative to promote wellness, performance and joyful living.